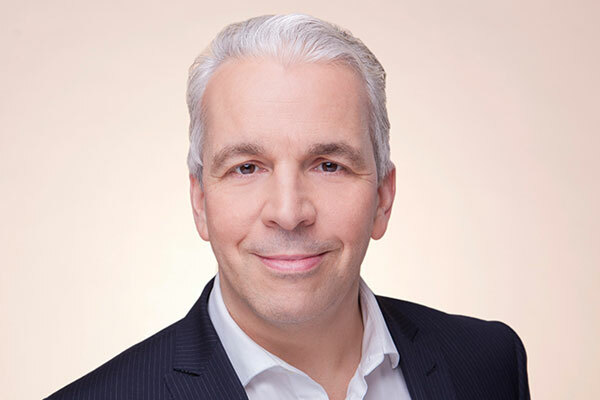 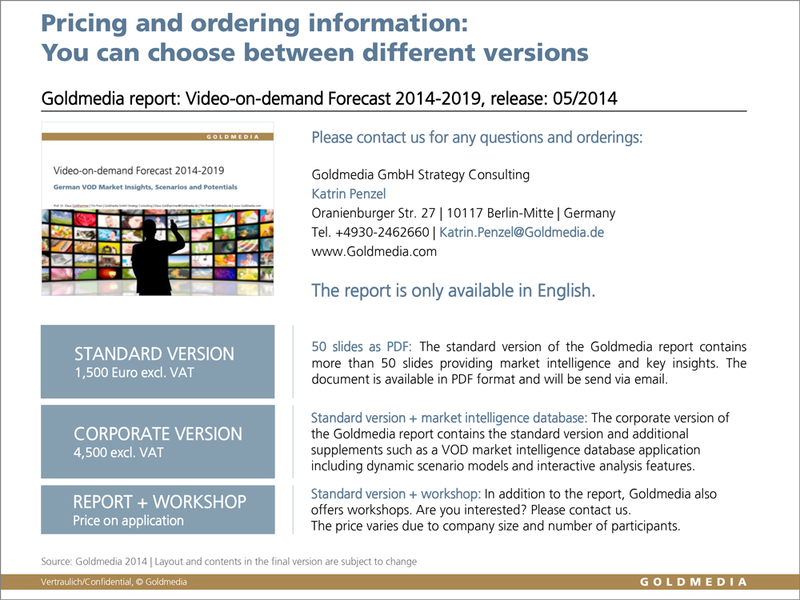 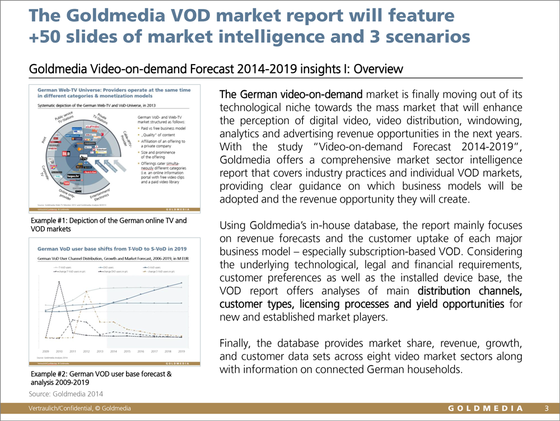 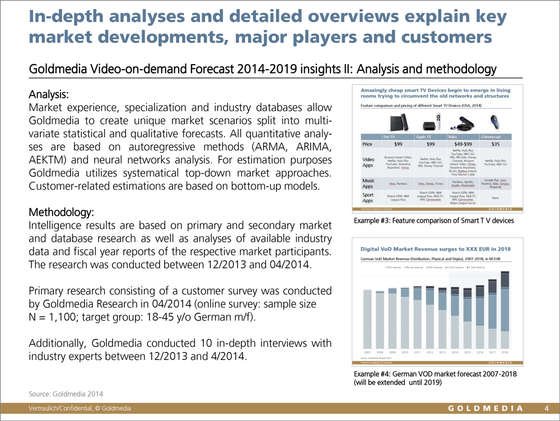 According to Goldmedia’s new study “Video-on-demand Forecast 2019”, video-on-demand is about to enter the mass market in Germany due to the devices and bandwidths available. 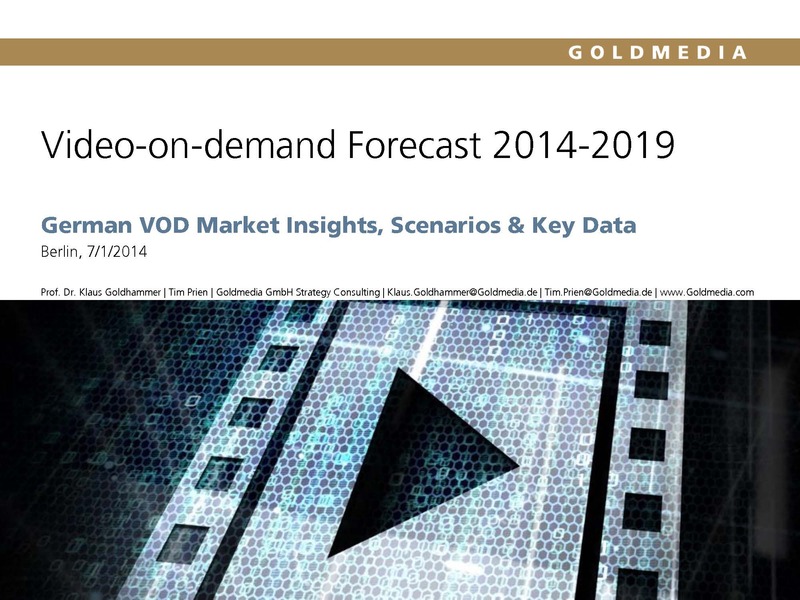 Furthermore, the number of VOD providers is growing continuously. 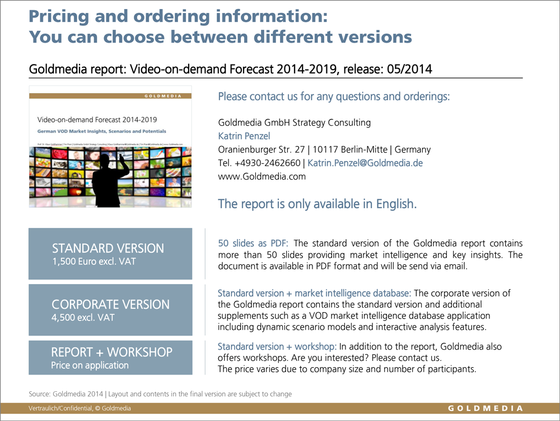 Besides market analyses, development scenarios und forecasts, the study also contains an exclusive user survey. 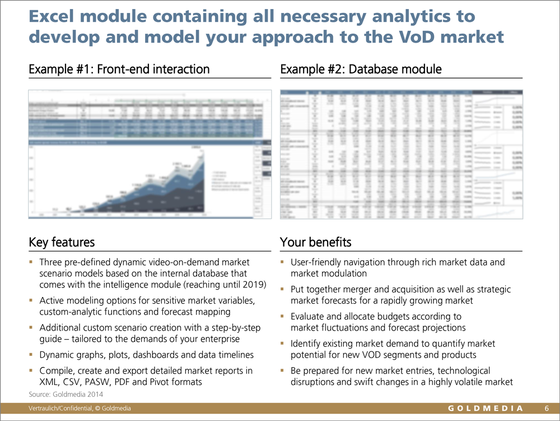 In addition, the corporate version of the study offers an extensive Excel module in order to model customized market developments. 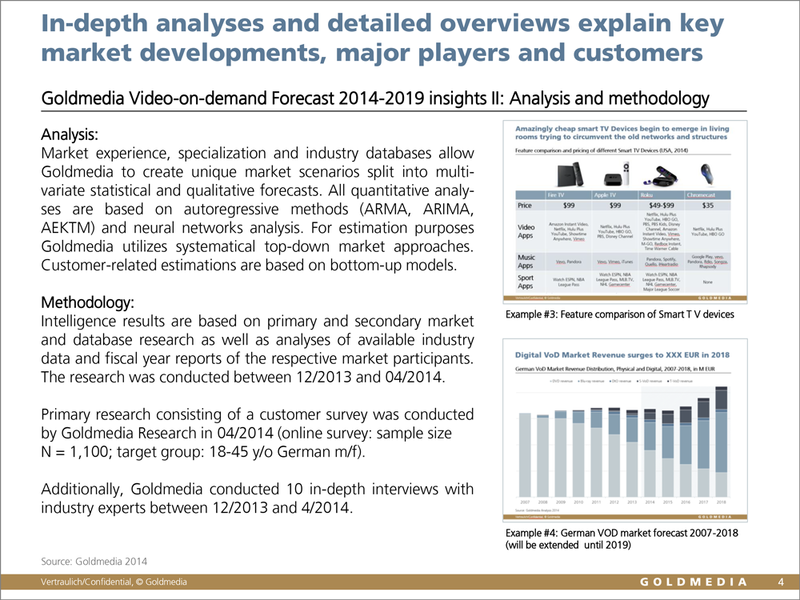 The study’s examination of the growth and use of online TV in Germany is based on a survey of primary data research on all German online-TV Providers. 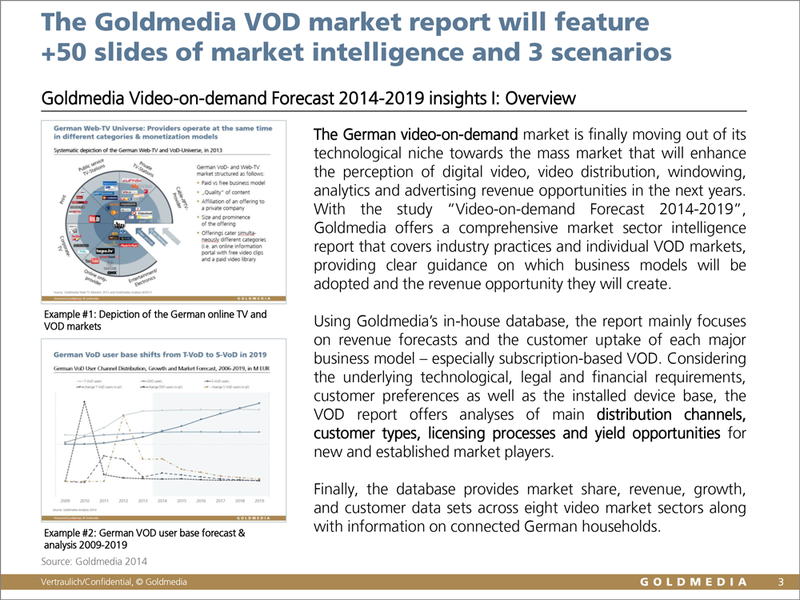 The study also include German YouTube channels as well as the TOP 550 German Facebook channels.